Austria’s reputation as a provider of family-friendly traditional village ski areas has perhaps hidden the attractions of the winter resorts for expert skiers over the years. St Anton is one of the best-known Austrian ski resorts around the world. Every winter attracts hordes of experienced ski bums looking to spend the season in the Arlberg. That helps to give the town something of the atmosphere of a Chamonix or a Val d’Isère, with plenty of great skiers and boarders working in menial jobs that allow them to head up onto the slopes as often as they can manage. Unlike many Austrian ski resorts, the ski area is a relatively large one, the main linked pistes stretching from Stuben to Nasserein while the Rendl on the other side of the valley offers some equally good skiing on a smaller scale. And the new link to Lech means that it just got even bigger and better. But it’s not just the size of the area that is attractive – the altitude helps to ensure a good standard of snow (and off-piste skiing) while the high mountain ridges play host to a number of steep gully routes. And there are even that most rare of things in Austria – steep and lengthy bump runs. Ischgl is one of the best-marketed of all of the Austrian resorts, even if it occasionally seems that off-snow activities are more heavily promoted. The resort does however have the skiing to back up the claims of the tourist board. Much of it is in high open bowls with a good mix of potential powder slopes and narrower gullies and bumps. Ischgl can also offer the attraction of a long and scenic ski over to the the duty-free area of Samnaun in Switzerland giving a rare cross-border experience in Austria. The slopes can get crowded in high season, but there are other resorts in the valley (Galtür, See, Kappl) for those looking for a change of scenery. Another of Austria’s grand old ski resorts, with a name that can boast worldwide recognition. The scope for skiing is pretty impressive for Austria – whether you go south to Pass Thurn, west towards Kirchberg and Westendorf, or try the runs on the Horn. It’s even possible now to connect into the neighbouring giant SkiWelt area. There are plenty of lengthy and challenging runs (take the famous Streif race route on the Hahnenkamm) and a selection of black runs over at the Steinbergkogel. The resort itself has a good variety of accommodation but can get very crowded in high season and at race time. Can be expensive. But the kilometres of skiing on offer in the SkiWelt (now fully connected with Westendorf and thus through to Kirchberg and Kitzbühel) can rival the giant French areas in size, if not in altitude. Nearly all of the resorts have lengthy and sometimes challenging runs down to the valley floor, while there is enough skiing in the bowls at the top if the conditions are not at their best. In good conditions there are exciting powder runs dotted all over the area. Indeed, the only real criticism of the area for experts would be the altitude, which is at the lower end of most of the Tyrolean areas, although still fine for skiing if it is not a poor snow year. The Gastein valley has never been a great hit on the English-speaking ski market, maybe because of the length of transfer from the airports. The European car drivers, on the other hand, flock to the resorts as they provide some of the best skiing in the province of Salzburg. They are also even accessible on a train line. 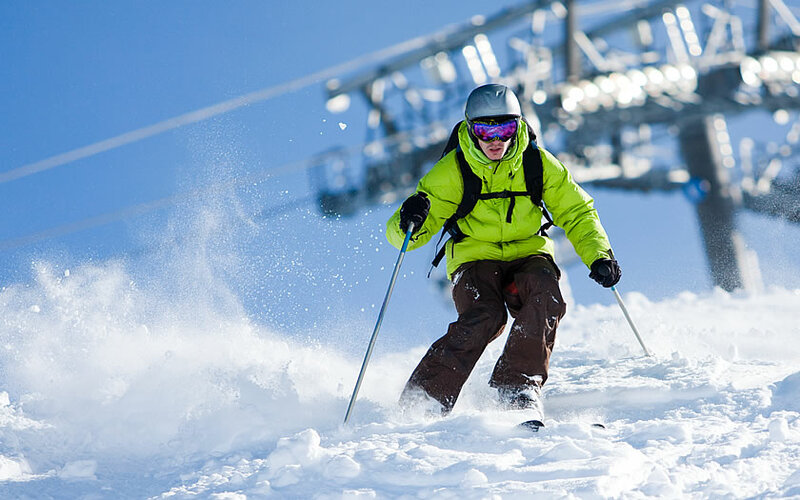 All types of skiing are on offer, from the small village atmosphere of Dorfgastein-Grossarl through to the high alpine slopes of Sportgastein above the treeline. Most people flock to the slopes above Bad Gastein and Bad Hofgastein, however. The resorts are different in type as well, with the old spa buildings and grand hotels of Bad Gastein giving it an unusual look for an Austrian resort.